We specialise in bringing the air from a warm air heating system and delivering it to the correct areas in a room. We have a range of air grilles, wall registers and ceiling diffusers in styles to blend in to your home, whether it is on walls, ceilings or floors. All our products provide excellent air distribution and will optimise air flow performance. 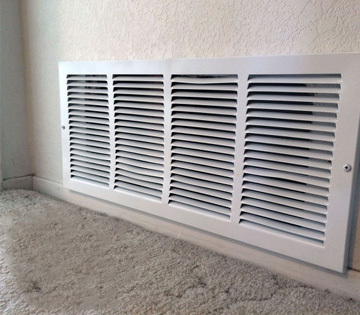 Grilles 4 U can supply the correct grille, register or diffuser to allow the air from a warm air heating system to be delivered to the right areas in a room. 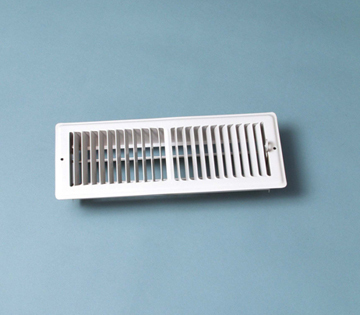 Air grilles, wall registers and diffusers are available in a range of sizes to suit your needs. Grilles 4 U are warm air specialists based in Salisbury, Wiltshire supplying a range of products for warm air heating systems. We have floor, ceiling and wall registers, grilles, vents and diffusers available to suit most modern applications. Our range has been precisely and expertly designed for domestic and commercial use. Our grilles, registers, and diffusers are listed by the opening size. To calculate the size you need, measure the opening or ductwork. Measuring is a simple procedure. 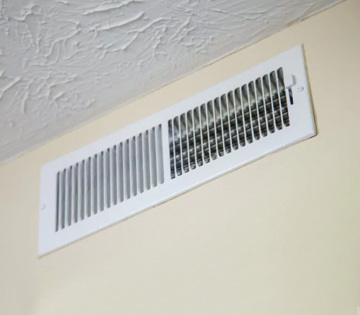 Grilles, diffusers and registers are designed to fit standard duct openings. When fitting within floor, measure both the width and length of the duct opening. If the opening is 4 " X 10 " , then the same size register is required.